I was cleaning my room the other day when I found a piece of paper and on it was a list I jotted down back in November. At the top was the word “Anxiety” followed by six items, six areas of my life/current situation that were giving me really bad anxiety, and two of the items were already crossed off. I read through the list again and was pleasantly surprised that now, four months later, I could cross two more of my burdens off that list. If you’re doing the math you’ll notice that there’s still two areas left to be crossed off. If I only have two areas of life that now just give me, what I would consider "normal" amounts of anxiety…I’ll take it! 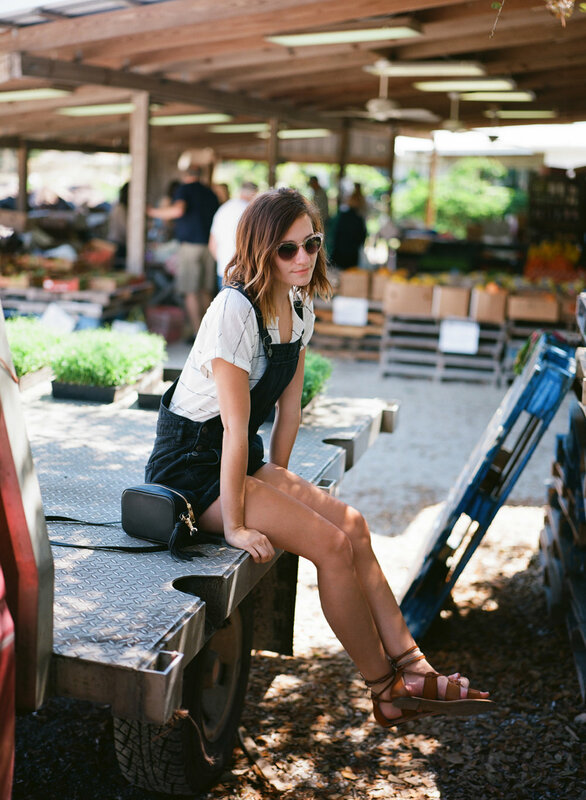 Let’s talk overalls for a second, because when these babies came back in style I was like “whoa, I wore those when I was 6,” and I was super hesitant of jumping on the trend. I slowly but surely began trying on a few inexpensive pairs, and hating them. Finally, I found these gems from Madewell and I could just tell that they were the right fit. I ordered them, love them, have since purchased another pair of overalls, and shameless wear them at least once a week. Trends always repeat themselves, but this might be the first one that screamed childhood to me. I’m happy that it ended up being a good thing and now I'm just praying real hard that those awful bubble shirts will never resurrect.